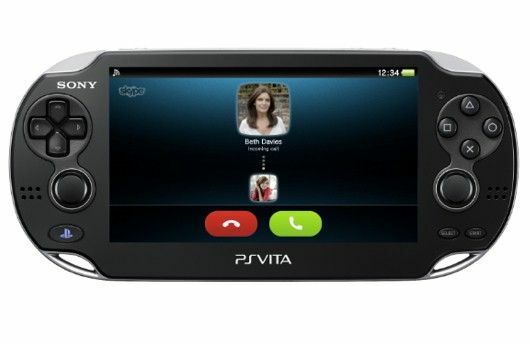 Skype announced today that Skype video calling is now available on PlayStation®Vita handheld entertainment system (PS Vita), expanding Skype video calling capabilities to a mobile gaming device for the first time. PS Vita system, which launched in early 2012, will offer video calling capabilities and voice calling on both the Wi-Fi and 3G models*. PS Vita system users can download the application for free from the “Social” category of the PlayStation®Store today across PAL territories. Skype on PS Vita system runs in “background mode” for users while gaming or using other applications** and users have the capability to “pause” a game, conduct a call and then return to their previous activity. Additionally, PS Vita system features both front and rear facing cameras, which allows users to switch back and forth between the two during a Skype call. This is a great benefit of never missing a call even when playing a game or using another app.